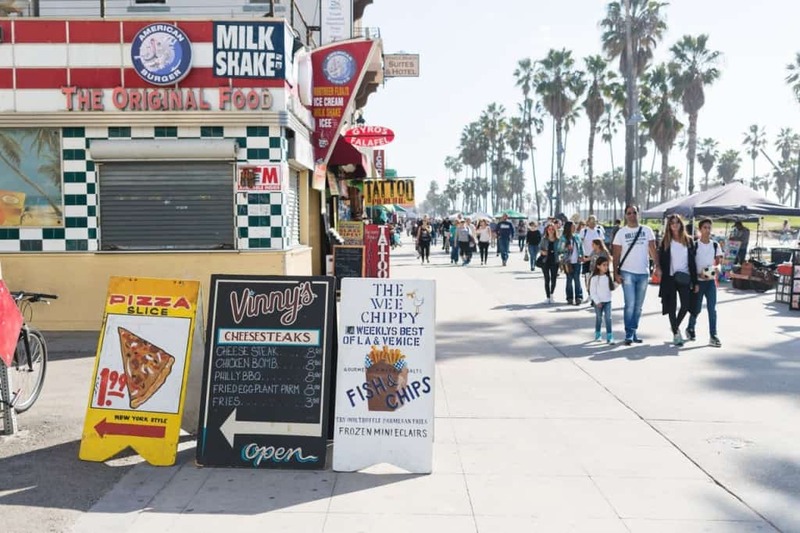 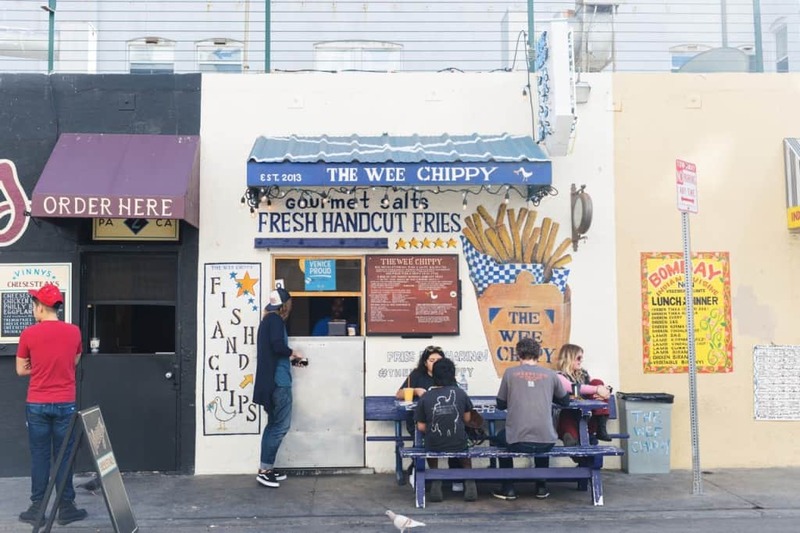 This tiny little storefront restaurant is one not to be missed while in Venice Beach. 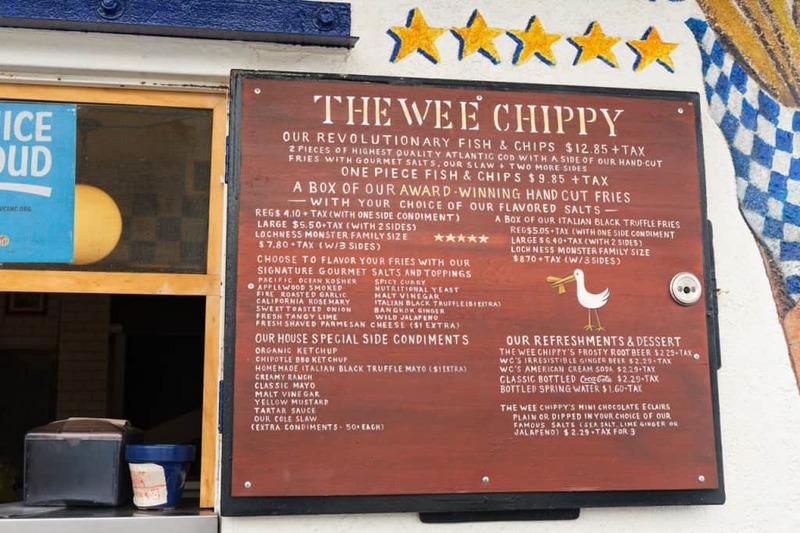 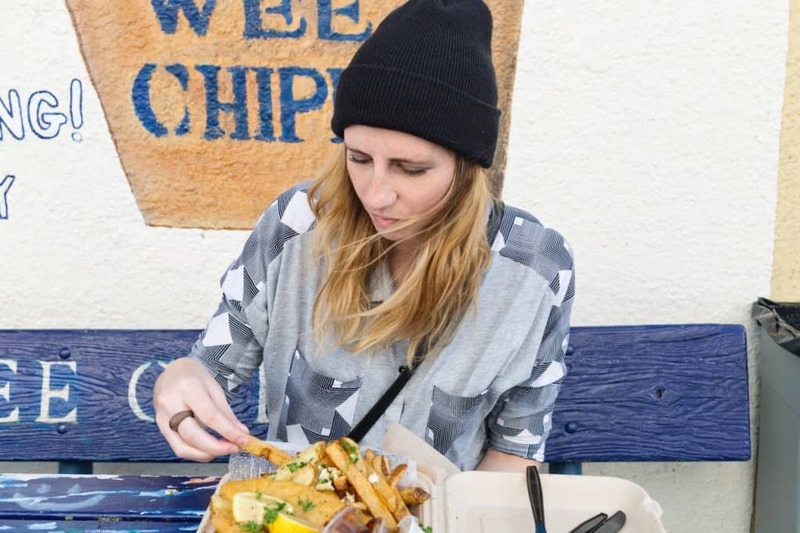 The Wee Chippy is located just off the boardwalk. 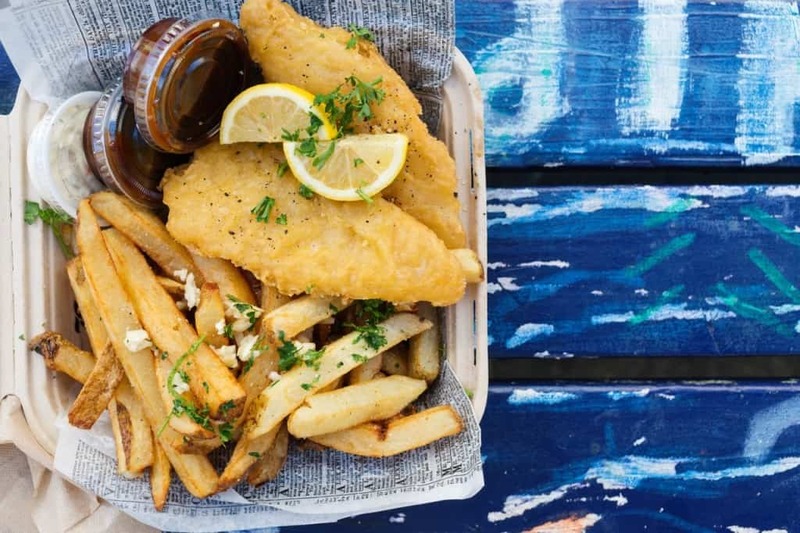 Simply walk up to the window to place your order, and watch as a two-man team makes an order of crispy fish and chips in their tiny little kitchen. 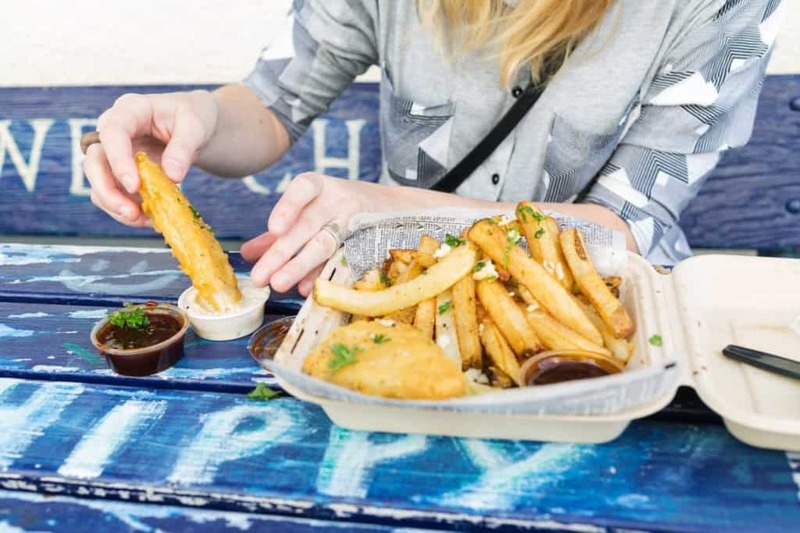 You can customize your french fries, or “chips” with a variety of 11 different seasonings including California Rosemary, Applewood Smoked, or Fire Roasted Garlic to name a few (we went with garlic!). 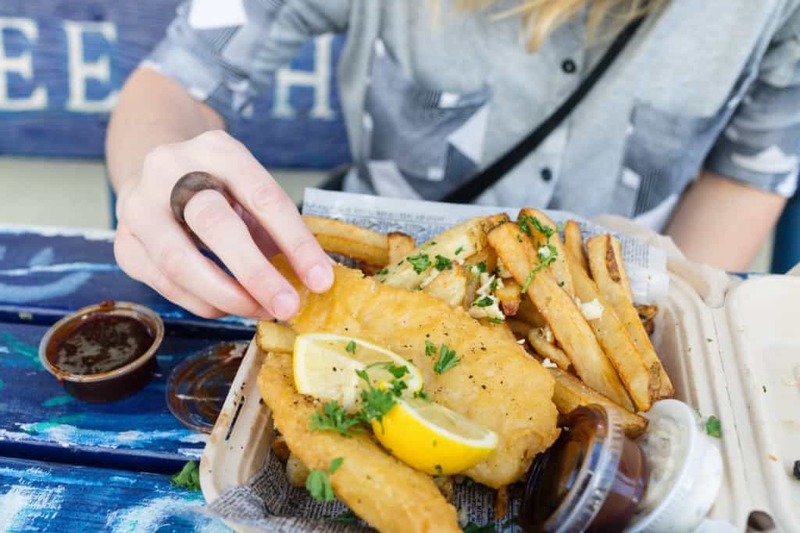 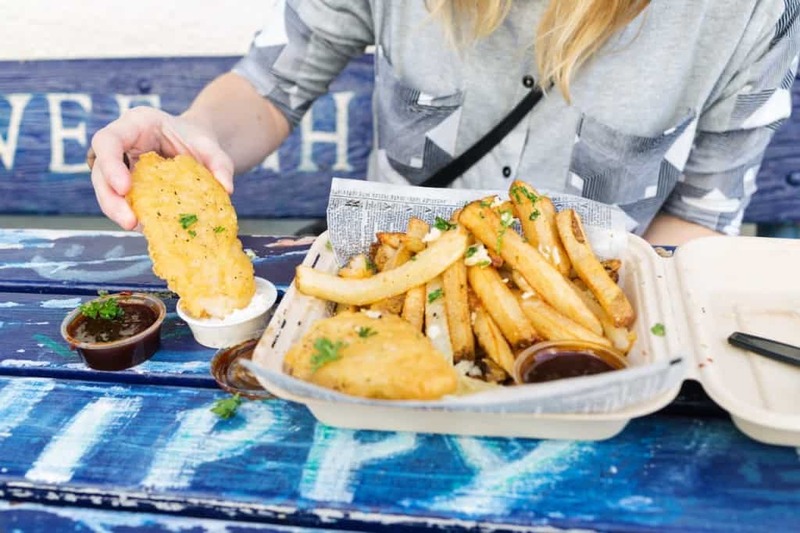 At only $4 for a box of fries, or $13 for their 2 piece fish and chips (enough food for two), prices are unreal for the taste and quality can’t be beat- a far better bet than the mass of mediocre offerings you’ll get from the boardwalk.